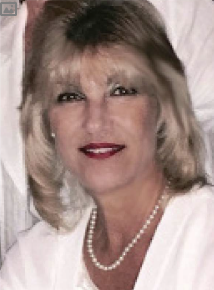 The Marina del Rey Historical Society welcomes its new Board member. Maureen was born and raised locally in Santa Monica. She moved to the Marina del Rey area in the late 1970’s, where she owned a moving and storage business for 25 years. She recently retired, after spending the past 15 years working as President/ CEO for the Hermosa Beach Chamber of Commerce & Visitors Bureau. Included in her list of responsibilities was directing one of the largest Arts and Crafts Festivals in Southern California, Fiesta Hermosa. Maureen was awarded the Business Woman of the Year award by the Kiwanis in 2012. Over the past year, she has been very active volunteering her time on many Marina del Rey community committees and events. She became involved with working with the Marina del Rey Historical Society while producing a very successful event at the Marina City Club to celebrate Marina del Rey’s 50th Anniversary.